Memory is a fickle thing. I’ve been editing old images in with the new so I can bring some old blog posts back online and was ready to update the picture of Templeton watching the dying light late on a summer evening in 2007. I was a bit dumbfounded to find I had never put the picture online, though I seem to remember doing so. I even remember the name of the post! I looked at the old site though and it was nowhere to be found, I guess I meant to post it, wrote the post in my head, but never got around to it. Better late than never. 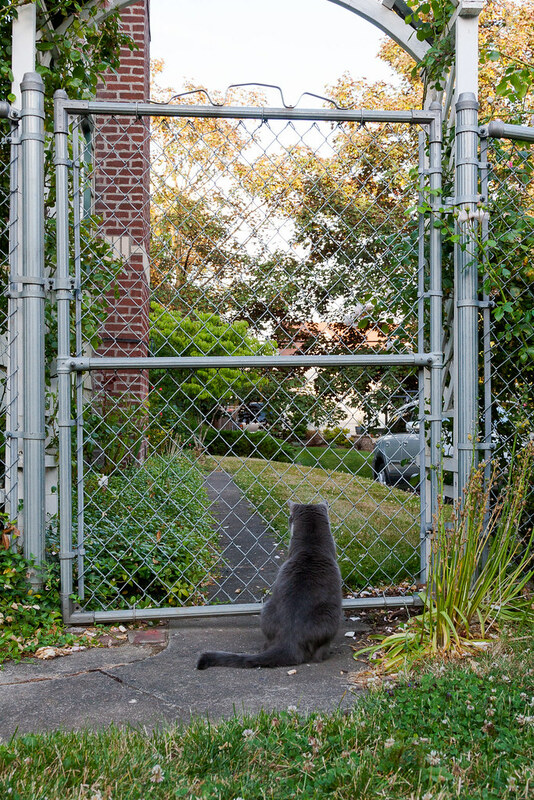 This entry was posted in Pets and tagged backyard, cat, gray tuxedo cat, Irvington, Oregon, Portland, Templeton. Bookmark the permalink.